When a man has a standard of excellence before him, and only then, will he have a fixed and definite purpose; with a fixed and definite purpose, and only then, will he be able to have peace and tranquillity of mind; with tranquillity of mind, and only then, will he be able to have peace and tranquillity of soul; with peace and serenity of soul, and only then, can he devote himself to deep, serious thinking and reflection; and it is only by deep, serious thinking and reflection that a man can attain true culture. In a work entitled “China and Europe: Intellectual and Artistic Contacts in the Eighteenth Century,” the author states that, in Ku Hung-ming’s writings, “Europe is urged to follow the example of Confucian philosophy and to get a clear insight into the “fundamental concepts” in order that Europe, like China of old, may construct for itself on that basis a solid conception of the world, and thereby attain to more stable political conditions.” These “fundamental concepts” are to be found in the Confucian Classics. In addition to his books, essays and articles, Ku Hung-ming also published translations of three of the four books that constitute the Confucian canon. They are the “Discourses and Sayings of Confucius,” (the Analects), “the Universal Order or Conduct of Life,” (the Doctrine of the Mean), as well as what he termed the “Higher Education” (the Great Learning). This last text was considered lost by scholars until recently, and has been the subject of some speculation. It was, in fact, first published in 1915 by the Shanghai Mercury. However, it was also later published abroad, in a periodical, the Theosophical Quarterly Magazine in 1931 (vol xxviii, July 1930-April 1931). The editorial matter preceding the text (‘On the Screen of Time’) gives some information as to how the magazine obtained the translation from Ku Hung-ming, some time before his death in 1928, but did not indicate whether it had been published before or not. As the editor of that magazine stated: “Ku Hung-ming was a law unto himself. He probably saw no reason why his work – good work – should not be published repeatedly, by different people all over the world.” – Neither do we. The following is a new translation of one of the four books in the Confucian Bible which has been translated by Dr. Legge as the “Great Learning.” This Ta Hsüeh (大學), the “Method of Higher Education,” together with the Chung Yung (中庸), the “Universal Order or Conduct of Life,” forms what may be called the Catechism of the Confucian Teaching. When first publishing my translation of the Chung Yung some ten years ago, I said: “It was my intention to publish these two books together; but I have not been able to bring my translation of the other book into a shape to satisfy the standard at which I aim at in my translation.” Now the present translation is, in my humble opinion, fit to be presented to the public. I therefore venture to offer it to the consideration of educated men who are really and sincerely interested in the cause of education in China and in the world. In the following translation then this idea of moral obligation, which forms the basis of human conduct and social order in the scheme of the Chinese civilisation, will be explicitly set forth. There is of course no “new learning” in all this, but what is better, there is true learning in it. The enunciation of it in some form or other is to be found in the best literature of every nation that has ever had a civilisation; and what is most remarkable, as I have shown in the notes I have appended to the translation of the text, the enunciation in the same form and language as it is in this book, written two thousand years ago, is to be found in the latest writings of the best and greatest thinkers of modern Europe. The Ta Hsueh or Great Learning, better translated, thinks Ku Hung Ming, as “Higher Education,”is also to be found as Chapter 39 of the Li Chi. It was the twelfth-century philosopher, Chu Hsi, who lifted this book and the Chung Yung out of the Li Chi and, joining them with the Analects and the works of Mencius, formed the Four Books, thus giving them a greater importance than they had, tucked away in the Book of Rites. The Ta Hsueh may have been written primarily as the basis of an education for princes, but it has for centuries been studied by all who have aspired to any important place in government. We hereby present this invaluable and timeless work as a PDF file, to read online, to download or to print – but above all – to study and to apply. It was transcribed from the version that appeared in the Theosophical Quarterly Magazine. The Chinese characters present in the original were included, a small number of typos were silently corrected and the original layout has been modified slightly for clarity. If there are any errors in this transcription, please be so kind as to let us know. 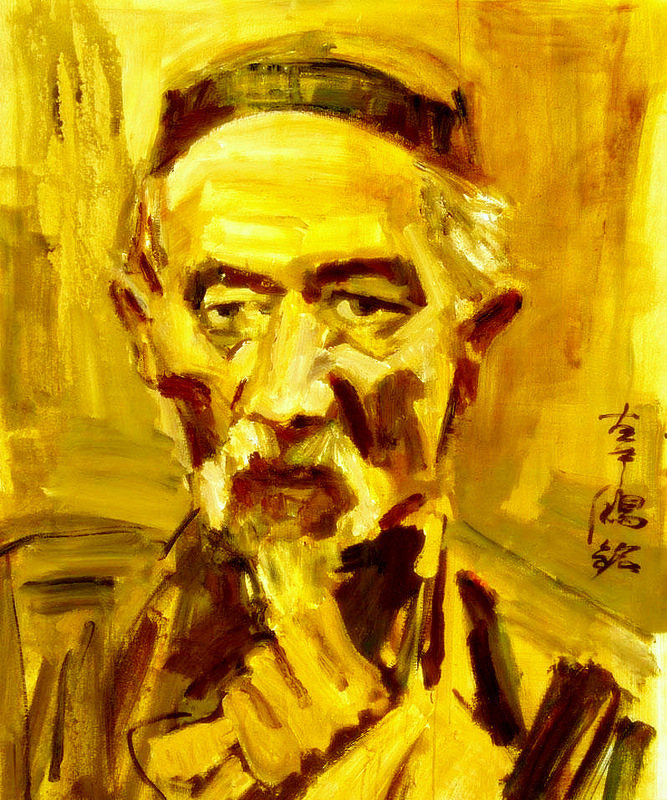 Interested readers may profitably consult Lin Yutang’s rendering of the “Higher Learning” in his “Wisdom of Confucius,” which also includes copious notes, as well as excerpts from the other books in the Confucian canon. 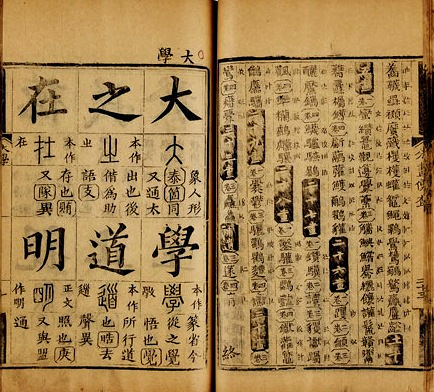 Ku Hung-ming’s translation of “the Universal Order or Conduct of Life,” was first published in Shanghai in 1906, and was then reprinted in the series Wisdom of the East, though with the slightly different title “the Conduct of Life or the Universal Order of Confucius,” but without the Chinese characters and certain notes and appendices. We also encourage readers to consult other translations of the sometimes difficult but always rewarding Confucian texts, in order to gain better insight into their profound meaning. Read the Chinese version online, with instant character references at Zhongwen.com.